An old poem says that we live only in certain moments, and all the rest is repetition and ashes. Life is short. We know that, but sometimes we don’t follow the path our internal little voice screams that we should follow, and suddenly every day is equal to the previous one. That landscape we once saw from a train, but did not dare to stop. Those wonderful eyes that captured our gaze for a second, and we knew that there was something there. Yet, we walked away, back to our comfort zone. A terrible thing had just happened, only we never knew it. Well, a Visibility Project is a terrible thing to waste. It may not be apparent in the beginning, or ever; it may not even have such a name, but still, it is one of those trains that we can either catch or miss. Why do so many monitoring projects fail? How come so many projects never leave their caterpillar stage and fly, once and for all, unlocking all their promised value? 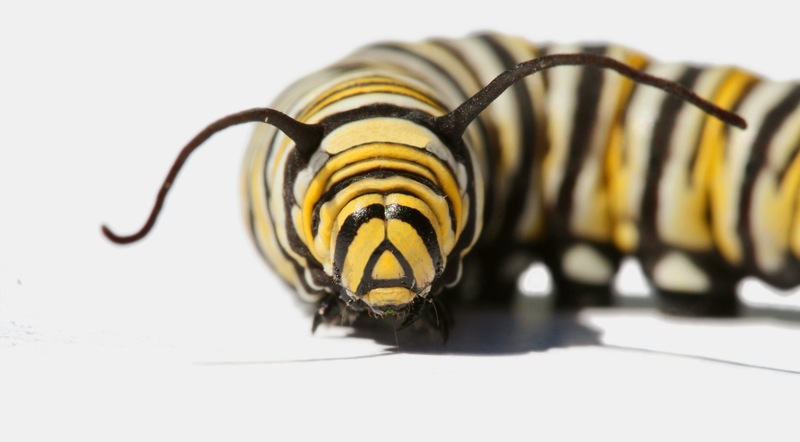 1) Perpetual Caterpillars: Monitoring is seen as just another internal IT project for IT consumption. 2) Butterflies: Monitoring is seen as a leadership opportunity to improve their careers, enhance the perception of the IT department, and benefit the whole company by gaining a strategic advantage through improved teamwork and efficiency. Which type is your project? Which type do you want it to be? Let’s see what defines Perpetual Caterpillars. Emphasis is on the technical side, the number of metrics collected is staggering, the “business services and processes” are represented by their applications (if at all), and there is little or no involvement of people from outside the Department during the project or as recipients of its outcome. Usually these projects are done as part of another project. Monitoring is an afterthought, of, say, an ITIL project, or it is part of a Compliance project (SOX, anyone?) or a larger Security initiative. IT people feel comfortable with this type. Very. Tomorrow will be another day, pretty similar to today. (Unless they all get outsourced. But I don’t want to scare you). The problem with this approach is that you are not solving any of the perpetual problems between IT and the business. Your department will not become more aligned. The business will receive little or no benefit. IT perception improves only marginally (if you are lucky enough to have someone notice at all). And, did I mention that you are missing a great opportunity to shine? Caterpillar projects may fail for lack of funding. Not surprisingly, if you position your project as something to improve internal stuff, don’t expect to get many external fans. And if you get stuck with your CMDB, don’t expect the CFO to give you another million dollars or an additional year. Butterfly projects are all about removing silos, internally and externally. They are for IT, but also for the business. They are the foundation for Total Visibility (hey, this is a Visibility blog after all! ), something that makes your company aware of bottlenecks and opportunities and hence brings it closer to agility. It also means that you are going to see things through others´ eyes. You are going to learn more about the company you are working for. And as a result, you are going to grow as an executive, as a leader and as a person. Quick example: I am the CEO of a multinational company (really, I am) and my CIO tells me that he wants to improve his internal IT processes and monitor infrastructure. I couldn’t care less about infra-anything, provided that my Internet connection works. He will not twist my arm for additional budgeting, and I will be very intolerant with any delays. Now, suppose that he proposes to give me full visibility for our Call Center, Tech Support and Order Processing, plus all related online services and, of course, our whole infrastructure. Now he’s got my attention. How much does it cost? Maybe we can set a special budget for this. After all, this is obviously CTQ (Critical to Quality). What do you need, man? I will make sure people in other departments listen and help you. Boy, I’m happy to have this guy with us. Another example, from real life: We recently worked with a European company that produces cement. They had the full usual set of monitoring products from one of the Four Monsters (some people call them “the Big Four,” but I think “Monsters” fits them better–“Dinosaurs” may fit too). They invested millions. They got millions of technical metrics in return. They were able to tell which components were down in real time. But the only thing they were not able to tell was whether the company was producing cement or not, and why. The good news is that Butterfly projects do not require more effort or intelligence than Perpetual Caterpillars–just a different approach. So, don’t waste your life over-optimizing things that are not the real bottlenecks. Help yourself and help your department by helping others. Remember: people don’t get promoted for doing their jobs; they get promoted by exceeding their jobs. And, by the way, since you read till this point, I hereby solemnly appoint you as the Chief Visibility Officer of your company. My pleasure. Now, go and make people happy. That place we have never traveled, that move we have never made. My fellow readers, we are missing trains every day. Just don’t miss this one. This entry was posted in CIO, Internal Selling, IT, ITIL, Leadership, Monitoring, Security, SOX by RCA. Bookmark the permalink. Tango/04’s CEO Raul Aguirre has begun sharing his vision for our solutions and he is doing it creatively and in inspired fashion. Please check out his blog! And, pray, who are ðe ‘big four’? IBM, Oracle, Microsoft, CA? These would be IBM, HP, CA and BMC. Historically big in revenue, but we should take note that some of them make money by essentially selling hardware (such as printers) or software unrelated to ITSM (such as mainframe tools). Not to mention thousands and thousands of professional services hours. incur costs of various employee type benefits.